CareerConnection is Luther's link to jobs and internships! Get access to internships and jobs posted by Luther alumni and friends. Lindsey Colyer, Daniel Stover, Reed Johnson, Sarah Floden at Gundersen Health System during J-Term 2014. The Career Center hosts several career fairs throughout the year. Learn more! Thinking about grad school? 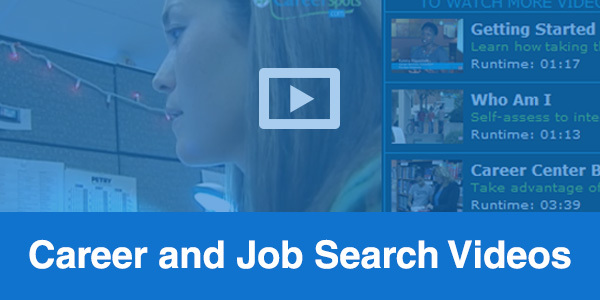 Our resources help you determine the best fit and guide you through the application process. Start by meeting with a Career Counselor to complete the Strong Interest Inventory or the Myers Briggs Type Indicator (MBTI) assessments. Join the Luther College Career Network on LinkedIn to gain insight, information, and experience from a strong network of Luther students, alumni, parents, and friends. Students: Check out CareerConnection, Luther's link to jobs, internships and on-campus interviews! Get exclusive access to internships and jobs posted by Luther alumni and friends and connect with employers. Ground yourself in a major and investigate your interests, new and old. Test out your interests by gaining experience beyond the classroom. Prepare for life after Luther. The staff in the Career Center, in partnership with faculty, staff, alumni, parents, employers, and friends of Luther College support students as they become self-sufficient in the career planning process, leading to a meaningful life and satisfying work. Looking to incorporate new concepts in your course, or plan to be out-of-town for a conference or meeting? Consider having our career and strengths teams come to your class! With a one-month notice, our staff can work with you to offer one or more presentations for your classroom. To view how we can assist, check out by clicking on our "Don't Cancel Class" options. Recent gifts from Luther alumni through the Career Center’s Internship Funding Program make it financially possible for students to secure an internship. Career Center maintained by Career Center. Page last updated on 25 April 2019.